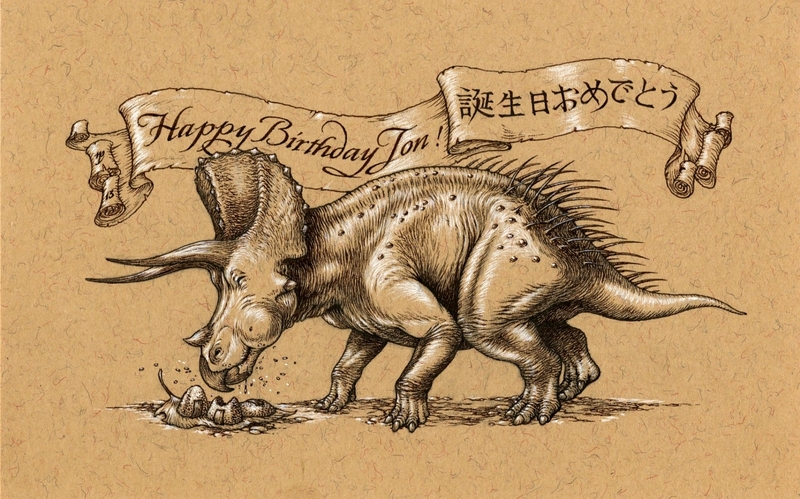 Another birthday piece for another friend, Jon Davies of Megadev, whose birthday was spent in Japan, the lucky brute. 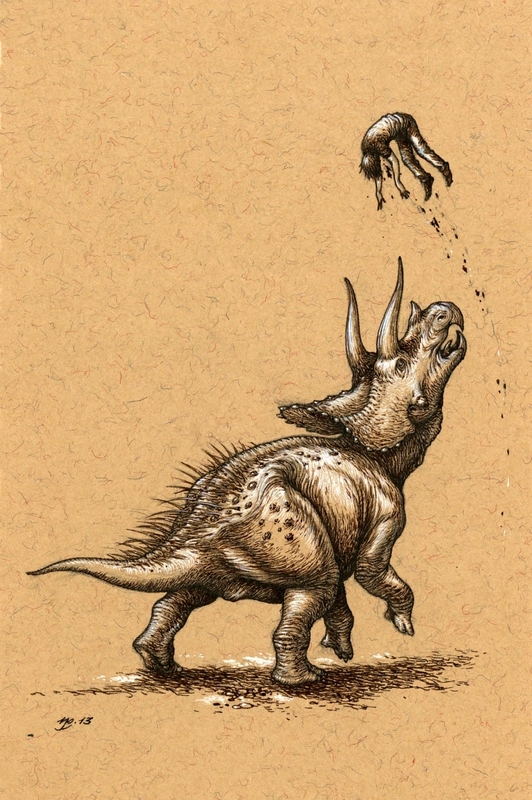 An onigiri-eating Triceratops. Brown ink and gouache on recycled paper, 111 x 178mm. 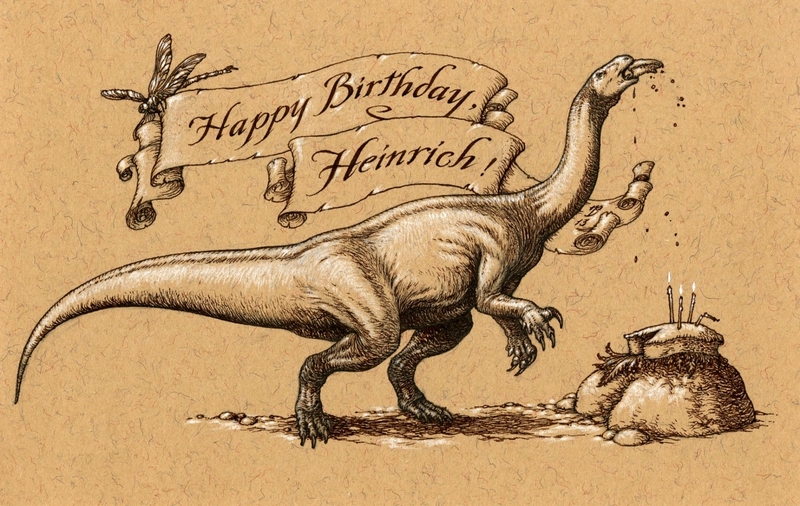 A birthday Plateosaurus for palaeontologist and friend, Heinrich Mallison. 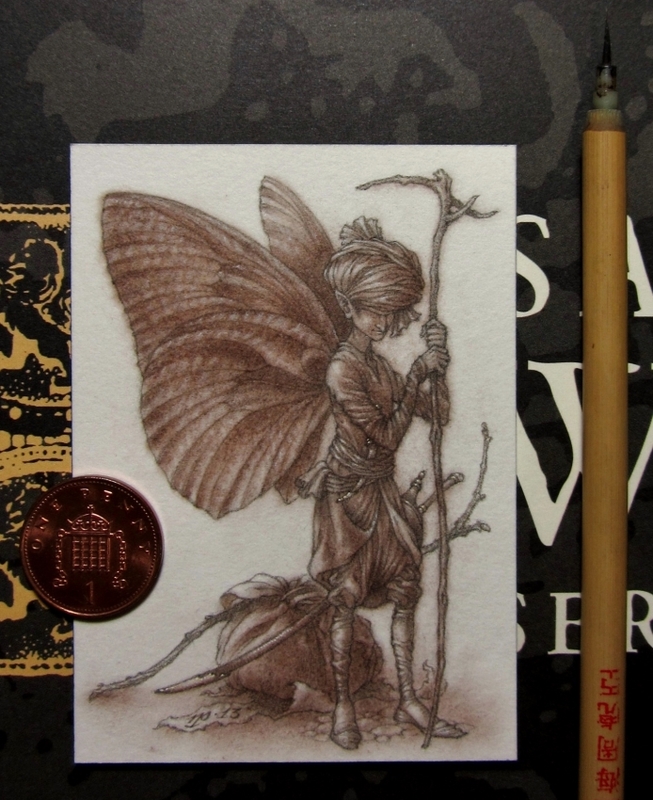 Brown ink and white Conté on recycled paper, 111 x 178mm. 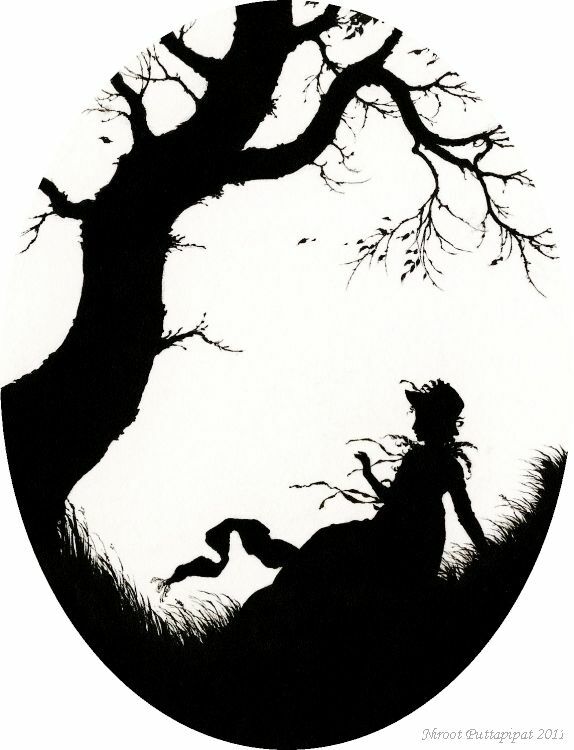 Yesterday was the birthday of Arthur Rackham (19 September 1867 – 6 September 1939), one of the foremost illustrators of the Golden Age and one of my artistic heroes and influences (though I can scarcely imagine an illustrator for whom he wasn’t so in some way). I wanted to share something of his in celebration sooner but was nursing a severe headache. 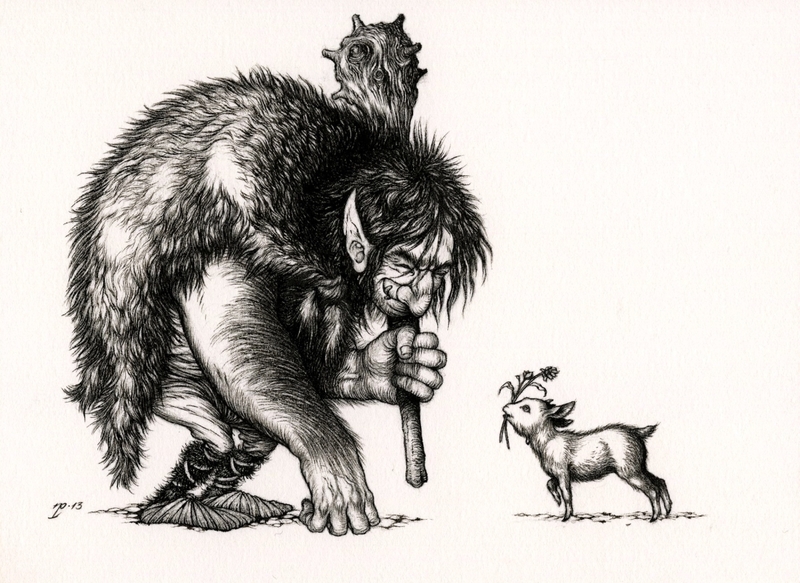 I could no more choose an ultimate favourite illustration by him than I can — I don’t know — give up drawing, I suppose. 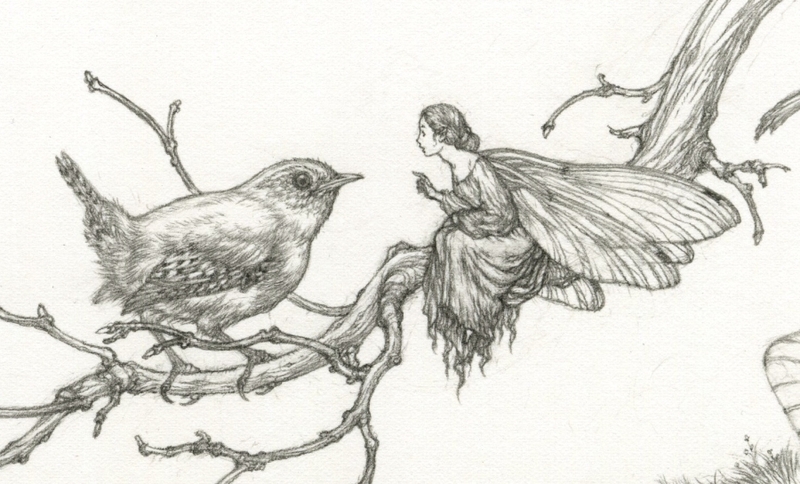 But here is a favourite, at any rate. 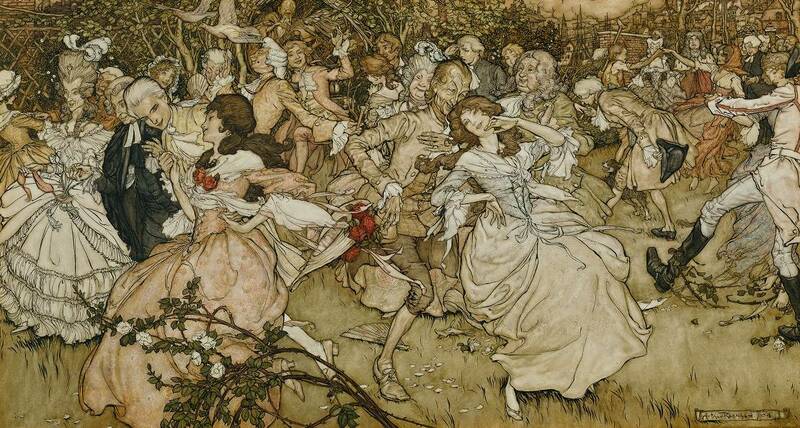 Arthur Rackham, The Dance in Cupid’s Alley, 1904. 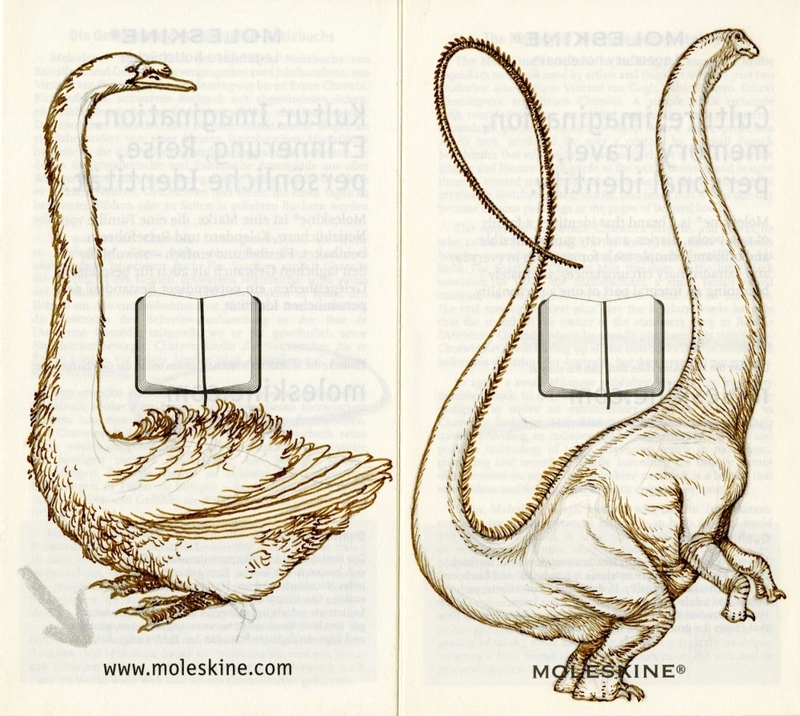 A few readers already familiar with the palaeontological aspect of my work may recall this illustration of a Citipati which I did about two years ago. Watercolour on Fabriano Artistico cold pressed, c. 245 x 170mm. Back in January this year, I was contacted by a writer from the German television broadcaster, WDR, requesting permission to use this illustration for their science documentary strand, Quarks & Co. The programme in question, I was informed, concerns the palaeontologist Jack Horner’s proposal to create a ‘chicken dinosaur’. I wasn’t sure whether or not the use was going ahead and soon forgot about it altogether. It transpired that it did indeed take place and that the programme itself had actually aired in late February and early March. 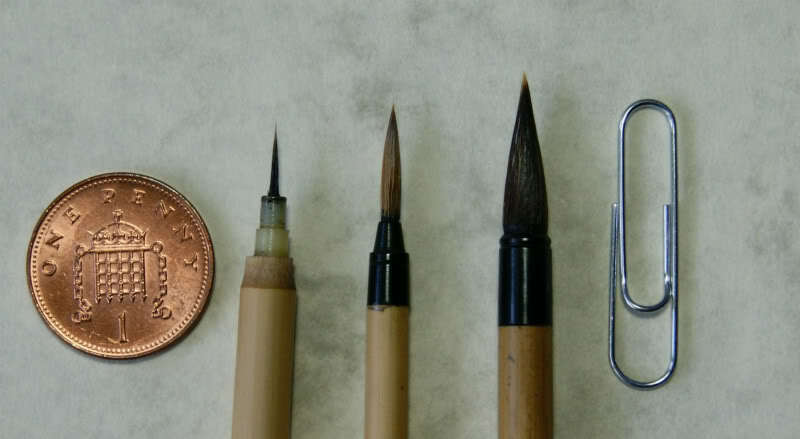 The short animated sequence in which the illustration appeared can be seen here. Thankfully the image still reads well even though it has been flipped for the purpose. 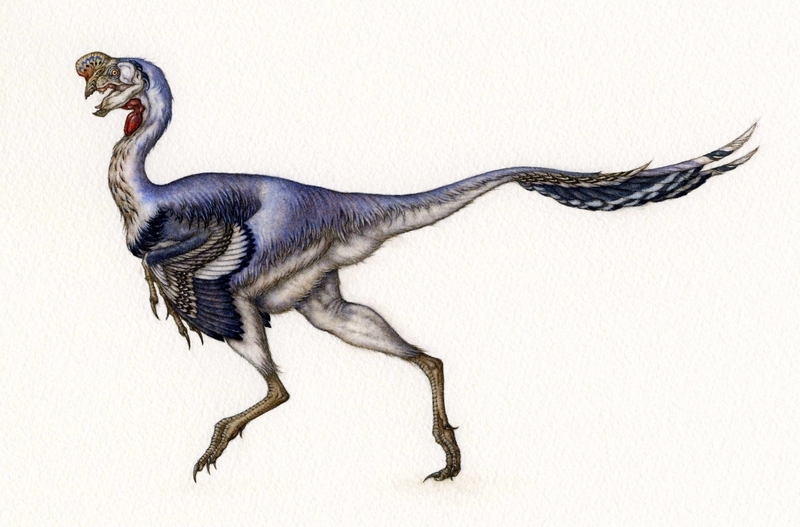 They also referred to it as an Oviraptor, rather than Citipati — but oh, well. The pleasantest surprise is that they even constructed a skeleton to match. Ink on Fabriano Artistico hot pressed, 149 x 113mm.